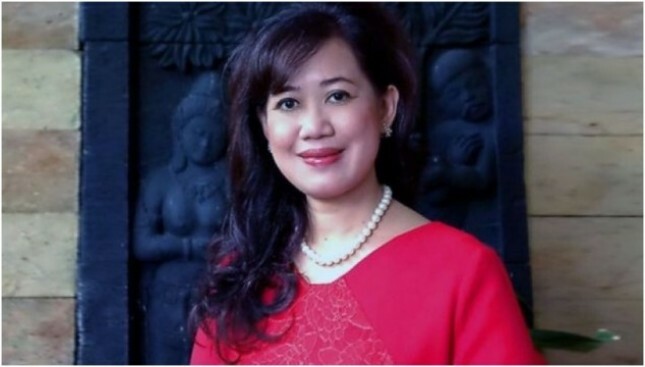 INDUSTRY.co.id - Jakarta - Military observer Susaningtyas Nefo Handayani Kertopati believes that the handling of terrorism in Indonesia has tended to be classified as a crime against the public, which tends to be handled by the Police. "If terrorism threatens the safety of the president or other state officials as a symbol of the state, then terrorism becomes a crime against the state and must be addressed by the TNI," Susaningtyas said in Jakarta on Tuesday (15/05/2018) to respond to various acts of bombing in Surabaya. According to her, academically military-related terrorism becomes the task of all nations in the world. The implications of counterterrorism or counter-terrorism by the military and police differ from legal perspective because terrorism can be a crime against the state or a crime against the public. However, in Indonesia terrorism is still the classification of public crime, so the handling is done by the police. Likewise with the types of weapons and bombs used by terrorists are still quite conventional, then the police authority. "But if weapons and bombs used by terrorists belong to weapons of mass destruction (Weapon of Mass Deatruction), such as nuclear weapons, biological weapons, chemical weapons and radiation weapons, then the handle is the TNI," she said. In addition to the subject of terror threats and weapons types, a country's sovereign regime also has implications for law enforcement authorities. If terror crimes are committed in the territory of Indonesia's full sovereignty, then the Police and the TNI may jointly cope. But if the regime is a sovereign right, then the TNI is taking action, he said. Nuning, Susaningtyas greeting exemplifies that if terror crime takes place on a vessel sailing in Indonesia's Zone Economic Exclusive (ZEE) or attacking a Pertamina oil refinery 15 miles from shore, the terrorist must be crippled by the TNI Special Forces. In addition, the platform as the Place of Genesis Case (TKP) whether the water vehicle (ships) and air vehicles (aircraft) are registered and flagged a country. With some of these criteria, the Terrorism Act in Indonesia should also accommodate the applicable international laws. "So, the existing law has given mandate and mandate to both the Police and the TNI.More important is how the TNI describes the authority according to the four criteria into a regulation that can be accepted by the Police and other government agencies. The important thing is our awareness of all to accept universal values ​​and norms in international law to tackle terrorism so there is no power struggle, "she said as quoted by Antara. "Overlapping" authority is not to be contested but should be a capital for more synergy, Nuning said. He added that "Overlapping" of international law and transnational law must be viewed from the perspective of individual state authorities as well as collectively for law enforcement as well as the enforcement of sovereignty. Terrorism as a public crime and as a state crime does not always rely on the definition of the ICC. The United States has made the Patriot Act to categorize terrorism as terrorism. It is not an ordinary crime that cannot be accompanied by a defense lawyer, nor a prisoner of war to gain the rights of a prisoner. "So international law for international and transnational law connections becomes the reference of national law to counter terrorism to apply 'lex specialis derogat lex generalis'," said the woman who studied the field of intelligence.